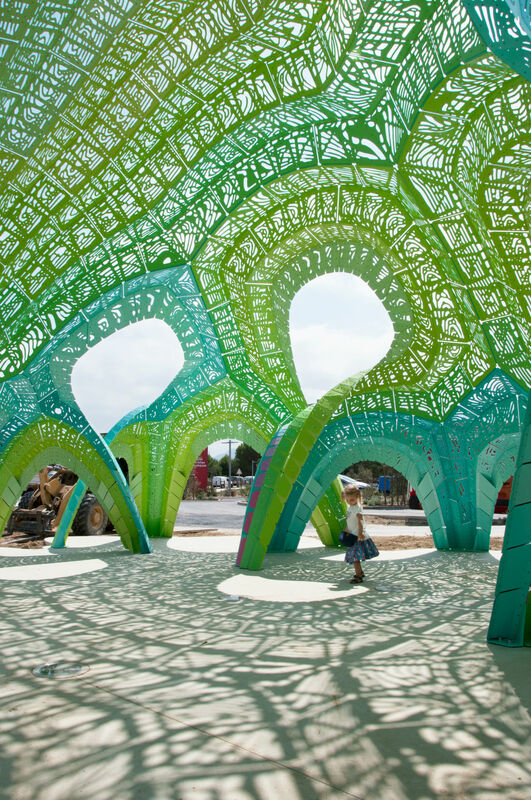 Marc Fornes and The Very Many's striking steel amphitheatre pavilion has broken ground in Argeles-Sur-Mer, France. Engineered by LED, the dramatic computational sculpture uses parametric pleated ribs to gain stiffness. Combined with its curved profile in section, the system gains the structural benefits of a compressive shell. It opens to the public in September 2015 and will provide an informal amphitheatre for the city.